We all might have gone through this scenario, when we have accidentally deleted a file which was kind of important, or clicked Yes when you should have clicked No. Generally the solution is simple i.e. restore that file from the Recycle bin and BOOM you are happy like a child but what if you have already emptied the Recycle bin? Worst Case Scenario, eh? But don’t you worry because when these things happen, we have a life-saver i.e. 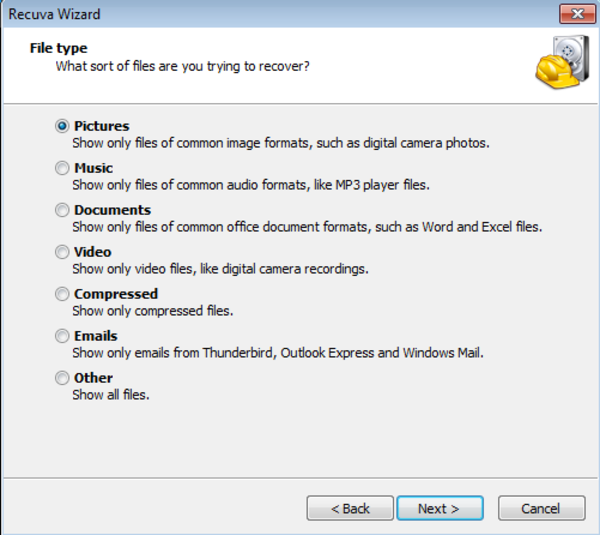 Recuva, a file recovery program which can recover the deleted files. Recuva is a freeware which you can use to recover pictures, music, documents, videos, or any other categories of archives on your hard drive or memory card or flash drive or even on your iPods. It has a decent, simple interface along with a wizard and innovative option-perfect for one and all that will guide you through the recovery procedure. 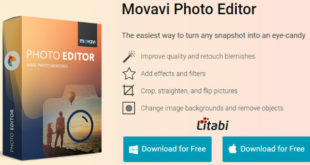 It offers an option for what sort of file to search along with deep scan assist option that helps you find archives on spoiled or reformatted storage devices. It works on both FAT and NTFS file system. 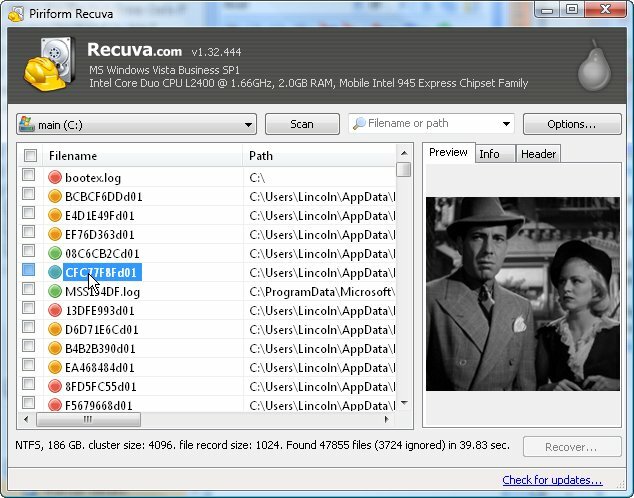 Recuva is compatible with Windows 8, Windows 7, Windows vista, XP and even server versions of Windows. The 64-bit version of Recuva is also available for 64-bit Windows users. Recuva emanates in two versions- a regular one which is to be installed in your pc and a portable one that you can install on a flash drive. The key enhancement of portable version is that it gets mounted on an external drive without overwriting any of the free space on your drive that may include just the archives you are trying to revive. Recuva also includes a beneficial feature that does the reverse of recovering a erased file – a feature that removes the file securely making it impossible for any file recovery software to recover it. The option menu allows you select different types of protected removal ranging from single pass overwriting to options that commands the program to overwrite the files three to seven times. Both varieties of this file recovery software work the same way. A file recovery program can only recuperate data obliterated from your system if equal space on the memory storage device hasn’t previously been used by another file. Every time something is saved or installed, the chance that your file will be recoverable decreases. 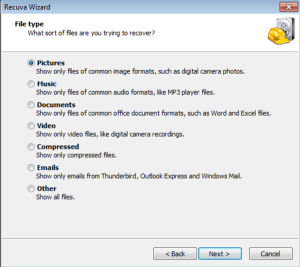 When Recuva starts, a wizard dialogue box appears enquiring you whether you want to recover specific sort of data or you want program to search for all deleted file. When the search is complete a list of scrapped archives comes up in the main window. Each file is marked with a green, yellow or red light signifying whether the data is recoverable, probably not recoverable or gone forever respectively. Now pick the files that you want to recover and hit it off on Recover choosing an address on your system. At any time you can shift to Advanced Mode which discloses a number of possibilities and supplementary organizing capabilities. Just reminisce to untick the archives in Recuva before you terminate the program as Recuva recalls those files afterwards and then will keep on downloading them over and over again! So uncheck the check box, once you have recovered the requisite files. If a file has gone missing, either accidently or because of a virus infection or even system crash and if you merely require a decent recovery program with an insignificant disk footprint at no charge, then Recuva is your best shot. A commerce graduate by profession and a tech blogger by passion, Zainil likes to write about software giveaways, gadgets, social media etc.. He is one of the active partners @ Litabi! How Evolution Of Technology Helps New Businesses Grow? Why To Use Power Banks For Mobile Devices?